Join the ACLD Foundation for the Annual Golf Outing and enjoy a day of golf while raising funds for children and adults with autism, intellectual and other developmental disabilities. • Tournament Sponsor $15,000 * SOLD – Two foursomes (golf game, cocktails, and dinner for 8 pp), eight additional dinner guests, recognition at event, sponsor recognition sign, display table, tee sign, and website recognition. • Ace Sponsor $10,000 – One foursome (golf game, cocktails, and dinner for 4 pp), eight additional dinner guests, recognition at event, sponsor recognition sign, tee sign, and website recognition. • Eagle Sponsor $5,000 – One foursome (golf game, cocktails, and dinner for 4 pp), four additional dinner guests, recognition at event, sponsor recognition sign, tee sign, and website recognition. • Tote Bag Sponsor $4,000 * SOLD – Logo on bags distributed to all event guests, one foursome (golf game, cocktails, and dinner for 4 pp), sponsor recognition sign, tee sign, and website recognition. 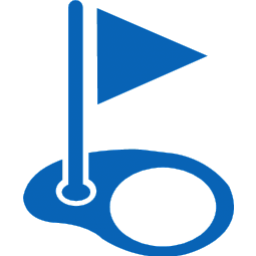 • Golf Ball Sponsor $3,000 – Logo on bags distributed to all golfers, one foursome (golf game, cocktails, and dinner for 4 pp), sponsor recognition, tee sign, and website recognition. • Birdie Sponsor $2,500 – One foursome (golf game, cocktails, and dinner for 4 pp), sponsor recognition, tee sign, and website recognition. • Cigar Sponsor $2,000 – Logo on custom printed cigar ring wrappers and sponsor recognition sign by cigar table. • Photography Sponsor $2,000 – Logo on photo folders distributed to all guests and sponsor sign. • Award Sponsor $1,500 – Logo on sponsor recognition sign. • Refreshment Sponsor $500 – Logo on recognition sign at course refreshment station. • Tee Sign Sponsor $300 – Name on signs by course tee box area. • Foursome $1,800 – Breakfast, golf game, refreshments, cocktails, and dinner for 4 people. • Golfer $450 – Breakfast, golf game, refreshments, cocktails, and dinner. • Card Party $190 – Card game, lunch, and cocktails. • Card Party & Dinner $250 – Card game, lunch, cocktails, and dinner. • Dinner $225 – Cocktails & dinner.